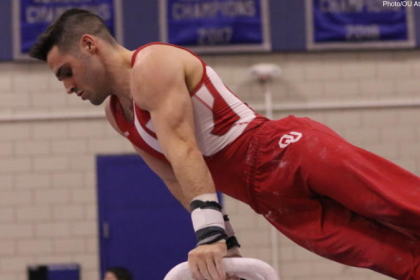 A lot happened over the weekend in college gymnastics. There were a plethora of sticks, many more score changes and controversies and thankfully not many injuries. We wanted to show more love to the non-top teams in college gym in 2019, so we broke out our Dismounts into DI, DII (all USAG nationals-eligible teams) and DIII. Each week, we’re also dishing out a few superlatives for some of our favorite moments, looks and results from the weekend of competition. Below those, you’ll find your typical results and highlights from every DI women’s meet. CLB nailed her floor routine in the anchor spot in front of a home crowd, not only getting a 9.950 but winning the event title over the likes of Utah’s MyKayla Skinner and McKenna Merrell-Giles. There were just too many good sticks this week, so we’ll just list ‘em for you to enjoy. However, probably the most criminal of the sticks that didn’t get rewarded was Michigan’s Natalie Wojcik, whose 9.925 has caused a wave of frustration from not only Wolverine fans but her fellow NCAA gymnasts as well. Trinity Thomas moved her foot on landing but got a 9.975. Everyone either had a season high or career high. Boren lead off with a 9.950 (Carol, literal Carol, gave a 10). It was Florida’s highest bars total ever—49.725. We honestly are having a hard time believing this score matches this vault. A 9.275 for a fine, not outstanding Yurchenko full with just a step? Blasphemy. We tried judging the vault ourselves as harshly as possible and could only get around a 9.400. And we all know NCAA judges don’t judge super harshly, even in the Big Ten. Kylie Dickson messed up on her jump to the high bar mount on bars, having to take an extra swing or two to get her routine started. Boise State head coach Neil Resnick found a horseshoe while hiking in the wilderness and implemented a good luck horseshoe for the team at its most recent meet. Olivia Karas continues to be overcome with joy that she’s back on the floor for her senior season after last year’s Achilles injury. Kyla Ross nearly fell on her Yurchenko one and a half, but managed to use the power of her legs and the help of the vault to duck walk back and into the table to stay standing. The Big Storyline: Oklahoma was in control for basically the whole meet, but the battle between the other three teams was tight. Denver and Missouri were ultimately separated by just 0.150, and Arkansas wasn’t too far behind, even after a rough go of it on beam; its team score of 195.825 was also a season high. Implications: Oklahoma and Denver remain at No. 1 and No. 7, respectively, and at No. 1 and No. 2 in the Big 12. Missouri remains at No. 16 while Arkansas drops to No. T-24. Missouri and Arkansas remain at No. 6 and No. 8 in the SEC, respectively. Records: Mia Sundstrom’s 9.875 on vault is a career high. In her young collegiate career, Alexis Vasquez tallied a career high 9.950 on beam. This is Anastasia Webb’s first career all around title and Olivia Trautman scored a 9.900 on vault for the first time in her career. Belle Gottula’s 9.825 on vault is a career high. The Big Storyline: Consider this meet Trinity Thomas’ official coming out party, even though it was the second meet of the season to be held in Gainesville. Thomas earned a huge all around score that was punctuated by excellent routines on every event, particularly her title-winning performances on bars and beam. Her all around score from the meet is ranked second in the nation. She also ranks first on bars. Implications: Florida’s team score was the fourth highest to be scored in the country so far this season, moving it up to No. 2 in the country. Kentucky had a much better meet this week and should also expect to move up accordingly. Records: Florida broke the program record on bars with a 49.725. It only came close to this with a 49.700 on the event back in 2007. Senior Amanda Cheney re-entered the vault lineup after two years and earned a career high of 9.825. In addition, Kentucky’s Aubree Rosa earned a career high score of 9.875 on floor. Controversies: The notorious Carol was back (literally) in Gainesville, and many said her most outlandish score came from the 10 she gave Florida senior Alicia Boren for her leadoff bars routine (she scored 9.95), yet the very same Carol was the hold out for Thomas’ bars which *only* received a 9.975. The Big Storyline: Both teams made incremental improvements on their seasons thus far but didn’t do anything drastically different than what we’ve seen so far this year. Some individual performances stood out, though: Cairo Leonard-Baker stunned on floor to pick up the individual title, and Missy Reinstadtler set a career high on bars with an outstanding routine. Implications: Utah and Arizona State stay at No. 2 and No. 5 in the Pac-12, respectively. National rankings for the two teams remain unchanged. Controversies: MyKayla Skinner had a difficult day on floor with errors on all three passes, including a drastic under rotation on her full-in to close. Yet she still received a 9.850 that allowed her to edge teammate MaKenna Merrell-Giles in the all around by only a quarter of a tenth. The Big Storyline: LSU was able to come back strong after an upsetting few losses with this decisive victory in Tuscaloosa. The Tigers showed special promise on vault, during which they stuck more landings than they have all season. As for Alabama, the Crimson Tide also posted a score that was only a little off its season-high score last week, an impressive feat given the loss of sophomore Lexi Graber to a minor injury before the meet even started. Implications: LSU will be happy with this score, but it won’t see a lot of upward movement in the rankings at the moment. Alabama, however, should expect to rise a little with an impressive score. 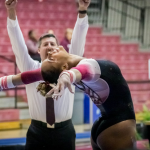 Records: Alabama’s bars score of 49.225 was its highest this season. LSU sophomore Bridget Dean earned a career high beam score of 9.825 in the leadoff spot. She also scored a 9.800 on bars for a career high there as well. Controversies: Many people felt that Sarah Finnegan’s vault score of 9.875 was low considering she stuck the vault (valued at 9.950) with excellent form and height. The Big Storyline: Both teams rebounded from subpar first rotations to put up solid team scores. But they also both showed key vulnerabilities, with Georgia looking especially tired during its floor rotation—and also continuing to struggle on bars—and Auburn not having the landings we’ve come to expect on its tumbling passes. Implications: Auburn remains one of two undefeated teams SEC play. The other team to share this distinction is Florida; if both teams continue their success, the battle for SEC regular season title distinction might be more interesting than previously thought. Records: Georgia scored its highest vault score of the season with a 49.400. Auburn also earned a season high score on floor with a 49.300. The Big Storyline: Emma McLean sat out this meet with a sore shoulder, meaning Michigan had to find three routines, something it did without missing a beat in this 24-for-24 season-best outing. We also got to see Abby Heiskell exhibition beam and learned that she had her appendix removed recently, which has likely been the reason she’s been missing from at least the non-leg lineups so far. Implications: Michigan remains on top of the Big Ten with this score, and it is because the Wolverines haven’t had a bad meet. That said, they need to push toward the 197 mark to keep up with the high scores we’re seeing across the conference. Nebraska, Minnesota and Ohio State are surging. Controversies: Natalie Wojcik continuing to stick her vault and not get a 10.0 is starting to get ridiculous. The Big Storyline: Both teams rebounded after each having struggles in their matchup in Cedar City last week. It’s the highest score of the season thus far for both teams and both have lots to be proud of. The Broncos fixed their shaky bars performance and the Thunderbirds did the same on floor. Southern Utah struggled on beam, but did not have to count falls but rather some wobbly 9.5-range routines. Boise State was the story of this meet, but the Thunderbirds are poised to improve throughout the season as the freshmen gain more experience. The Broncos also introduced a “good luck” horseshoe for sticks. Implications: MRGC standings remain unchanged. Boise State moves up to No. 9 overall and Southern Utah moves up to No. 32. Records: Caitlin Kho set two career highs with a 9.800 on vault and a 9.825 on floor. Jiang Braley’s 9.825 on floor is also a career high. Controversies: Viewers missed the last half of the final rotation due to technical difficulties. We also saw Boise State home scoring in mega effect this meet. A one-point scoring differential in overall team score is not what this meet looked like. The Big Storyline: A bizarre beam rotation that began with senior Malory Rose’s first career fall let the Huskies trail behind a focused Oregon State. The Huskies had some bright spots, including an imperious performance by junior Evanni Roberson, but it couldn’t compete with Oregon State’s consistency on beam and floor where Kaitlyn Yanish and Maela Lazaro shone. Implications: Washington remains at No. 3 in the Pac-12 while Oregon State drops out of a tie with Arizona State for the No. 5 spot to No. 6. Washington and Oregon State both drop one spot in the national rankings, Washington to No. 11 and Oregon State to No. 20. Records: Yanish’s 39.250 all around score is a career high, as is Maela Lazaro’s 9.925 on beam. Controversies: Scores for Washington on floor were all over the place, with Maya Washington receiving a 9.875 with a few landings she struggled to control while Amara Cunningham was only awarded a 9.775 for a near-perfect set. Lineups were also uncertain for the Huskies, who scratched Brenna Brooks in the six spot on vault and then substituted her in for Monica Riley on floor. Kaitlyn Yanish may not have received the up-to-the-level deduction on bars—she did a very clean set but a 9.750 out of 9.900 seemed high compared to the rest of the rotation. The Big Storyline: California lost this meet rather than Arizona winning it; it had a meltdown on bars with misses on its first four routines, but made up a lot of ground in the rest of the meet, especially on vault where it had two great sticks from Kyana George and Toni-Ann Williams. But it couldn’t recover against a clean Arizona performance at home. Implications: Cal drops to No. 17 while Arizona drops to No. 24. The Golden Bears remain at No. 4 in the Pac-12; Arizona moves down to No. 8. Records: Cassidy Keelen’s 9.900 on beam is a career high. Milan Clausi hit 9.900 on vault for the first time in her career. The Big Storyline: BYU rebounded from a rough meet at Utah State in its home gym. Utah State continues to progress, setting a season-high team score and nearly breaking 195 if it wasn’t for post-meet adjustments. Implications: MRGC rankings remain unchanged. BYU moves up to No. 14 nationally and Utah State to No. 33 overall. Records: Utah State’s Madison Ward-Sessions is now just three event titles away from setting a program record. She currently has the third most. Logan Varnadore’s 9.800 on vault is a personal best. Annie Beck’s 9.750 on bars is a career high, as is freshman Grace Rojas’ 9.775 and Makayla Bullitt’s 9.875. Controversies: Yet another score was adjusted post-meet, with Utah State’s total being lowered to 194.850 from 195.025. The Big Storyline: Nebraska became the first Big Ten team to hit 197 in this outing, coming back strong from last week’s disaster at Rutgers. Sienna Crouse was back everywhere except bars, but we’re still only seeing Megan Schweihoffer on beam and floor. Implications: Nebraska will inch closer to Michigan at the top of the conference and surge to No. 13, but Ohio State is hot on its heels. Illinois will remain stagnant with another half-brilliant, half-dud of a week. Nebraska and Michigan go head-to-head next week. Records: Illinois’ 49.425 on bars ties for the third-best total on the event in program history. Karen Howell’s 39.250 is a career all around mark, and Rachael Donovan’s 9.875 on bars is a new personal best. Controversies: The floor music broke halfway through the third rotation. Rae Balthazor stepped out and had to step back off the floor when her music didn’t start. We waited around for a while and then repeated the whole thing. After another wait, Nebraska finished its beam rotation. Finally, we got back to floor. It was a massive wait, but the Illini handled it well, putting up three solid numbers after the fiasco. The Big Storyline: Penn State went 24-for-24. We’re not sure when the last time that happened was, but it was momentous after some early-season struggles. Plus, Minnesota’s score was the best in the Big Ten this year until Nebraska slid by later in the day. To top it off? The all around battle between Lexy Ramler and Lauren Bridgens was a nail biter and came down to one tenth. Implications: Minnesota and Penn State will move up both in the Big Ten and in the nation with these totals. They join Michigan, Nebraska and Ohio State at the top of the field and have created a sizeable gap between this elite group and the bottom half of the conference. Records: Ramler’s 39.625 is a new career best; it also ties for the fifth-best score in program history, topped only by Lindsay Mable. Bridgens’ 39.525 is also a career mark. Controversies: We missed a lot of Minnesota on the stream because this was a Double Dual and we kept getting shots of the men’s meet. That would be fine, except there was a separate stream for the men. The Big Storyline: Kent State bounced back from a rough outing two weeks ago to improve its score by over three points. George Washington had a few struggles in its second meet in two days but managed to break 194 again this weekend. Implications: After a two meet weekend, George Washington moves up to 40th in national standings. Kent State improves six spots to 51st and West Virginia drops one spot to 27th. Records: George Washington fifth-year Brooke Bray posted a career high 9.800 on beam. Controversies: This meet produced yet another equipment malfunction. After West Virginia vaulted, a part on the vault had to be replaced, which delayed George Washington who was next up on that event. The Big Storyline: UC Davis had a nightmare meet, counting falls on bars and beam and struggling to rotate passes on floor. But it was just barely able to stay clear of a peaking Alaska. The Seawolves registered a top 10 all-time total despite counting an error on beam after spectacular floor and bars rotations, and Sac State was able to overcome bars and injury struggles to score a season high. Implications: Alaska jumped a few spots in national rankings and moved up to No. 4 in the MPSF. Sac State will hold steady and UC Davis will drop significantly, but the Aggies will be able to drop this score when RQS kicks in in a few weeks and shouldn’t sweat it too much. Records: Alaska’s score was its sixth highest in program history. Hyderally’s beam score ties for second in program history. Kaylin Mancari registered a career high on beam, as did UC Davis’ Yasmine Yektaparast. Controversies: The theme of tight bars scoring in the MPSF continued this week with only two routines all week cracking 9.700. Sacramento State’s bars struggles continued, and it took yet another injury, this time to Tara Catour, though the severity is uncertain. Judging by her score, Alaska’s Isabella Scalapino lost credit for her acrobatic series in her 2019 beam debut. She competes a back tuck + back tuck, which is risky. The Big Storyline: The meet was neck and neck through two rotations, but after North Carolina had to count a fall on beam, N.C. State was able to secure the victory with a season high score. Implications: Despite falling to N.C. State here, North Carolina remains in first place in the EAGL and N.C. State remains in second. Nationally, North Carolina sits in 28th with N.C. State close behind in 30th. Records: Several career highs were set in this meet. For North Carolina, both Mikayla Robinson and Madison Hargrave set new career highs on vault with a 9.900 and a 9.875, respectively. N.C. State’s Nicole Webb secured her first career victory on beam with a career high 9.875. The Big Storyline: This meet was about all arounders. Denelle Pedrick had a stellar outing for the Chippewas while Rachael Underwood and Morgan Spence also had excellent moments for the Broncos. Implications: Both teams will fall back a touch nationally after this low-scoring outing, and Western Michigan will fall behind Eastern Michigan in the MAC while Central Michigan remains its first-place rank in the conference. Records: Rachael Underwood’s 9.875 on beam ties her career high. Denelle Pedrick’s 39.100 all around total is the best in the MAC this year. The Big Storyline: George Washington bounced back from a rough first meet two weeks ago to improve its score by over a point despite losing vault and floor powerhouse Deja Chambliss to an Achilles injury earlier in the week. Pittsburgh improved upon its total from the last two weeks to set a new season high score and break 195 for the first time this season. Implications: Pittsburgh remains at third in the EAGL and improves to 31st overall. Records: Sophie Bochenek and Lucy Brett both recorded career highs on floor with a 9.825 and 9.725, respectively. Controversies: Pittsburgh submitted an inquiry for Deven Herbine’s score on beam after a larger-than-normal scoring split between the two judges (are we even surprised by this anymore?). Her score was then raised from a 9.575 to a 9.775. This is yet another instance of beam controversy this season. The Big Storyline: New Hampshire set a new season best score of 195.375, led by a pair of 9.900s from Danielle Mulligan on uneven bars and balance beam. This is also the highest score from an EAGL team so far this season. Implications: New Hampshire’s season high score here moves it up to 34th in national standings, but it still sits in fourth place in the EAGL. The Big Storyline: Iowa’s young team is starting to find its footing. 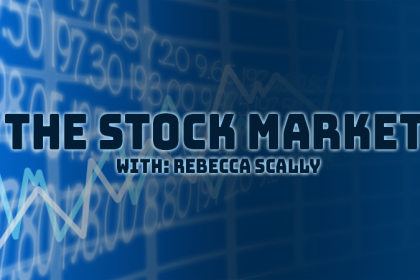 This week,it proved that it can hit big numbers even when some veterans falter. That will be key for the Hawkeyes. Implications: Rutgers fell back a few paces after a very strong outing last week, and will fall behind the conference field a touch. Iowa continues to post consistent scores and will hold steady at No. 40. The Big Storyline: The Eagles continue to rely heavily on top all arounders Emili Dobronics and Jada Rondeau. The two often lead the field in the all around and have been trading titles so far this year. Implications: The MAC is once again a very competitive conference this year, with most teams in it bunched together in the mid-40s. This meet will solidify both teams’ spots in the middle of the conference, with plenty of room to grow. Records: Cortney Bezold’s title-winning 9.850 on bars was a career high. The Big Storyline: Air Force is rising to the top of the MPSF in 2019, and it proved its position with an easy win over three conference rivals. San Jose State is still struggling after a series of injuries, but an imperious last two events from Taylor Chan allowed it to keep Alaska at bay. The Seawolves surged on floor, equalling or passing five individual career highs and putting up the second highest rotation total in program history, only to struggle on bars. Seattle Pacific had a spectacular first two rotations and led the field at the midpoint but had a disaster on bars that led to a rotation total of 44.950. Implications: Air Force passed San Jose State for the No. 2 spot in the conference. Controversies: Bars scoring was tight throughout the meet with Alaska seemingly hit the hardest. The Big Storyline: Towson improved its season high score by over two points to get the win over William & Mary. Emerson Hurst did not win beam this time (she was second to teammate Mary Elle Arduino), but she did win vault for her first career victory on that event. William & Mary improved on its score last week by nearly a point, just shy of breaking the 193 barrier. Implications: Towson still sits in sixth in the EAGL but improves its national ranking to 57th. William & Mary remains in third in the ECAC but drops one spot to 55th nationally. Records: William & Mary junior Caroline Caponi set a career high 9.85 on floor. 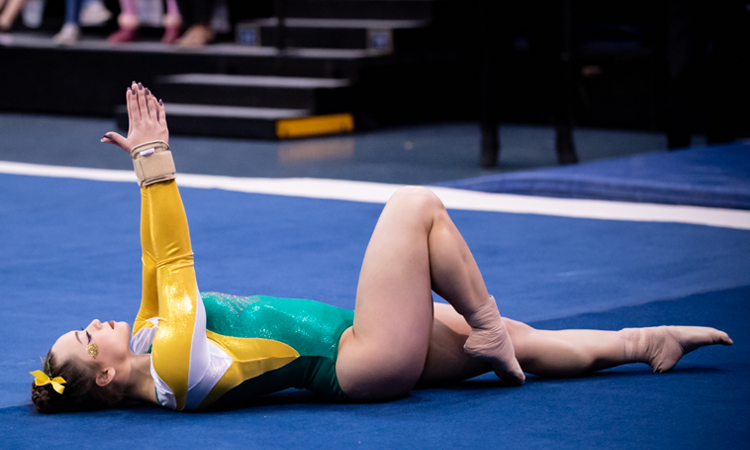 Controversies: This is not exactly a controversy, but William & Mary sophomore Katie Waldman had a bad fall on bars and was scratched from the rest of the meet. Her status is something to keep an eye on because she is a big all around contributor for the Tribe. The Big Storyline: Temple broke 194 for the second time this season and swept all four events en route to a big win over conference rival Penn and Division III teams Ithaca and Ursinus. Implications: Temple moves up one spot to 49th nationally but remains in second place in the ECAC behind Yale. Records: Temple senior India Anderson won floor with a career high 9.900. The Big Storyline: Illinois State crushed its previous season high from week one by over a full point on the heels of strong bars and floor performances. The Redbirds proved they won’t be left behind as the top of the MIC inches into the 195s. Implications: SEMO continues to struggle and fall further from the other DI and DII teams in the conference. Illinois State made a case to be put into conversation with those teams and is inching closer to Texas Woman’s. Records: This was the Redbirds’ first 194-plus score since February 2017. Controversies: It seems that there were only three judges at this meet, so every member of one team went on their given event during rotation before every member of the other team; so, all of the Illinois State vaults happened, followed by all of the SEMO bars. The Big Storyline: UIC put up yet another season-best mark; the Flames continue to improve week-by-week. Implications: UIC will remain atop the MIC, and Northern Illinois is positioning itself well to do battle with Central Michigan at the front of the MAC. Records: Northern Illinois’ 39.375 on floor is a new program record. Allison Richardson’s 9.900 on floor is a career best. The Big Storyline: Iowa State took the top score on every event, but Lindenwood mostly kept up with the Cyclones. It’s the second near-196 for the Cyclones in two weeks—last week being away at Georgia—and they have steadily improved each meet. Implications: After posting a season-best 195.975, Iowa State jumps up 10 spots to No. 26 and is still in third place in the Big 12. Lindenwood moves up to No. 44 nationally and remains in second in the MIC. Records: Cyclone Laura Burns had two career highs: a 9.925 on bars and a 9.875 on floor. Sophia Steinmeyer’s 9.850 on floor is also a career high. Lion Aleah Turon set a career high on vault with a 9.775. The Big Storyline: The Buckeyes continue their stellar road-January, putting up their third 196 score in a row. This team is very dangerous and has set itself up incredibly well for RQS. Implications: Ohio State continues to put pressure on Michigan and Nebraska in the Big Ten. When RQS scores kick in, the Buckeyes will be in a comfortable place, with three 196s already under their belts. It will be interesting to see what they do in St. John Arena next week. This is also an excellent sign for the Spartans; this season-high tops high scores so far from the other bottom-five Big Ten teams. Records: Miriam Perez made her debut for Ohio State, putting up a 9.800 on floor, and Jenna Swartzentruber’s 9.900 on bars is a career best. 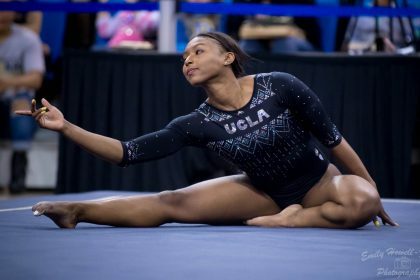 The Big Storyline: UCLA was slightly off its game throughout the meet, and a bunch of small errors and tighter scoring combined to keep its total down. But it should be happy to be able to put up a comfortable 197 on an off day. Stanford had to count some errors on beam but put together three great rotations on the other events, and its freshmen seem to be settling in. Implications: The lower score will drop UCLA to the No. 3 spot nationally as Florida moves up. Stanford will remain No. 24 and at the bottom of the Pac-12. Records: UCLA continues its program-best start with four consecutive 197-plus meets to open the season. Norah Flatley recorded a career high 9.900 on beam. Controversies: Most fans felt that one of Ohashi’s pair of 9.975s should have been a 10 and one should have been lower, but opinions were mixed about which one should be perfect versus lowered. Kyla Ross underrotated her Yurchenko one and a half and ran back underneath the table in the funniest possible save.